Two Civitan International Fellowships have been established in the memory of Dodie Gross, the beloved, two-time President of the Civitan Club of Auburn, who passed away this summer, a Civitan International Foundation Shropshire Fellowship and a Civitan International Sustaining Research Center Fellowhip. 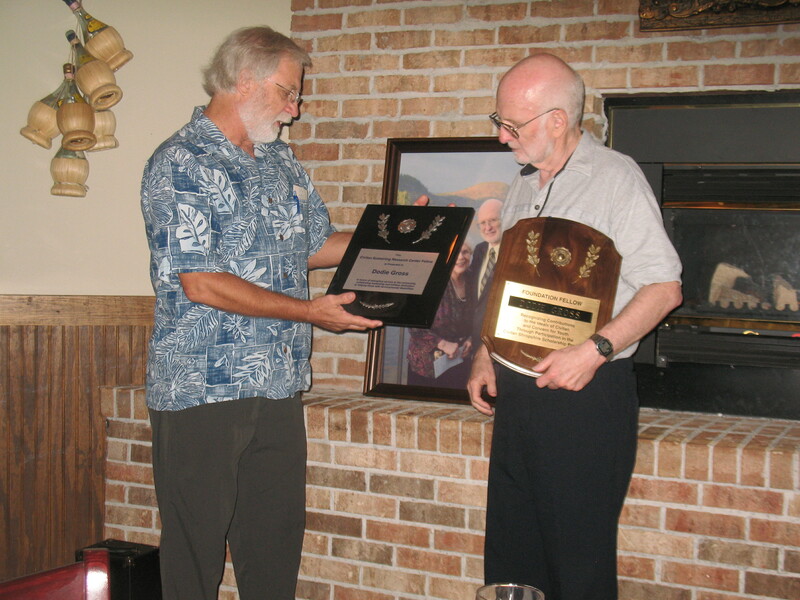 Kirk Iversen (L in photo), incoming president of the Civitan Club of Auburn presented 2 plaques in Dodie’s memory to her husband, Dr. Charles Gross (R in photo), at the Club’s annual Awards Banquet held on September 19, 2014. This entry was posted in Auburn Civitan News, Charities on October 22, 2014 by kviversen.